Tamashi Volume 3 is now available! Kaihaku Mountain, the mountain of spirits, is the first obstacle on Tamashi and Sui-mo’s journey through the Ancient Land. Here they’ll meet some new, troublesome faces. A boy with the power of spirits, and a wild child with unparalleled speed. An old enemy is also waiting to come alight. Whether they succeed or fail, the two friends will need to persevere in anyway they can! Tamashi Chapter 15 is now Live! The end of the mountain is near and so is our time with the trouble-making Child of Spirit. 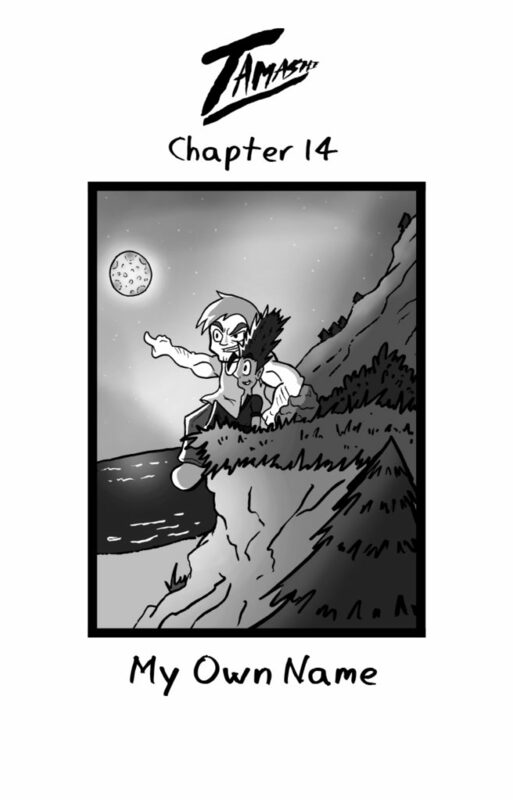 Read up on the conclusion to the second story arc of the Tamashi saga! This also means that Volume 3 is on the horizon. Please look forward to in October! What does it mean to have your own name? I mean a name that belongs to you? 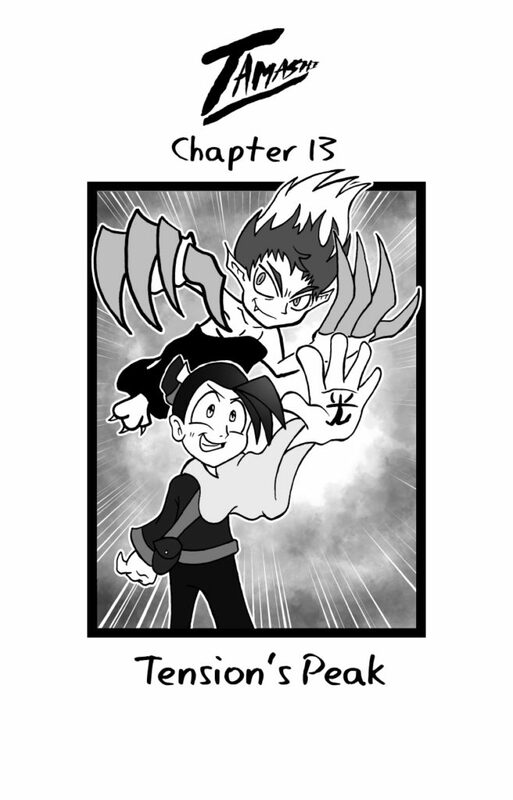 Find out this this chapter! 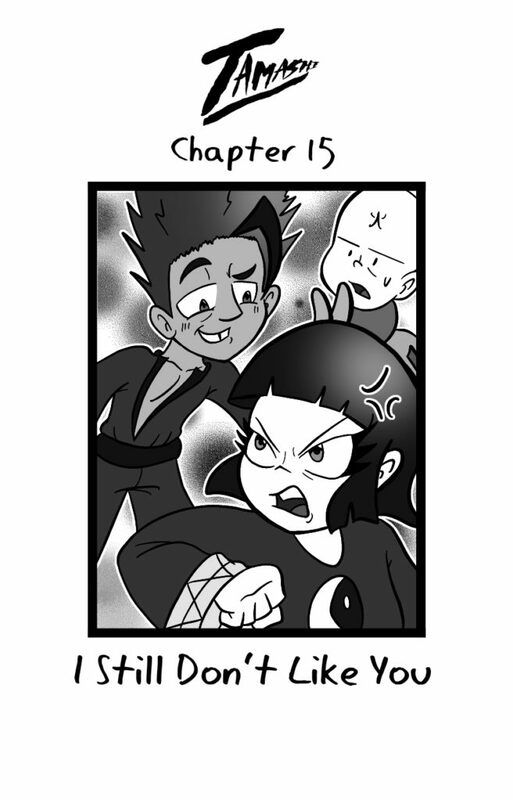 Tamashi Chapter 13 is now live! With the sudden reappearance of Changa and is new ally, Flance, Tamashi and co are in for some big trouble. 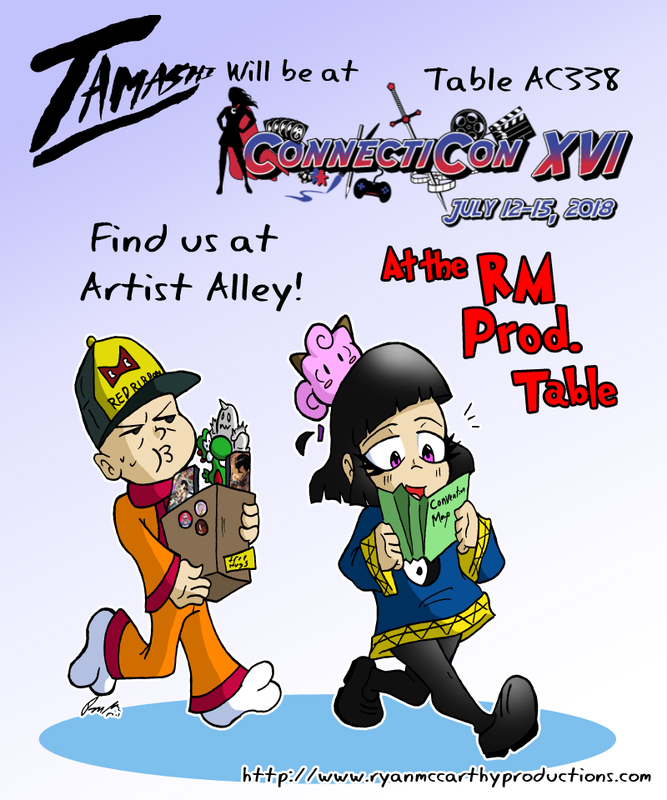 RM Productions and Tamashi will be at Conneticon for the 3rd year in a row! This year we’ll have many new prints, along with books and buttons. This will be the first year where we’ll have Tamashi Vol 1-2 available for purchase. No more single chapter booklets. Hope to see anyone there!